Designed for the client who has moderate to severe positioning requirements. Created as the solution-solver for asymmetrical back postures. 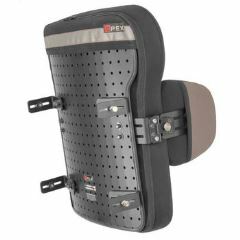 Suitable for clients who have changing postural needs over time. Superior comfort and tolerance with special pressure reducing front foam layer. Upholstery section incorporates unique contouring cell cube system to allow on-the-spot customisations to back asymmetries. 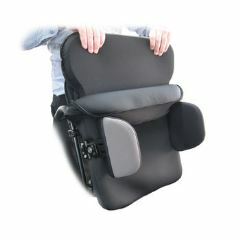 Backrest angle and seat depth offers exceptional adjustability and can be facilitated with the user in the wheelchair. 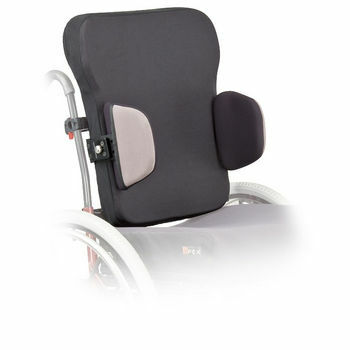 Ventilated spacer-fabric and shell system increases air-flow through the backrest offering daily comfort. Powerful 4 attachment points affix onto the wheelchair backrest canes delivering ultimate strength and zero wobbly. Modular componentry means you can select from our entire seating range of laterals, headrests, harnesses etc. Sizes from 12" to 20" and custom sizes on request A special feature about the Spex backrest is the adjustable contouring-cell cube system which is incorporated into the upholstery unit of the backrest to provide easy configuration for asymmetrical trunk postures without the need for expensive and complicated custom seating. The cover un-zips from the top of the backrest and remains fixed to the shell whilst you remove the inner upholstery unit. Changes to the contouring are made on-the-spot for instant results. Further postural enhancement is performed with the positioning kit.